Book signings are an invitation for new and established patrons to join in the festivities spearheaded by the author’s exciting accomplishment. Diane Jellen’s upbeat demeanor will draw shoppers to her attractively decorated book-signing table. 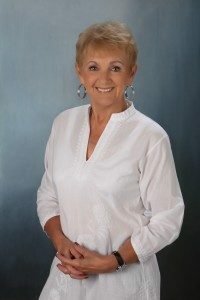 During the My Resurrected Heart: A Codependent’s Healing Journey book tour, Diane will share her life’s journey, and read selections from her devotional memoir. Instinctively, her faith-filled story of hope will transfer a positive feeling to all who attend. Whether you are a stable, respected, Indie bookstore or an equally established bookstore chain, spread the excitement. If you’re interested in having Diane speak at one of your bookstore, church groups, or meetings fill out the form below to request a speaking and book signing with Diane Jellen. Then sit back and enjoy the high-energy welcome Diane will share throughout your shop and meeting rooms. “It was my pleasure and a very enjoyable book-signing event.